What is known as the Great Wall of China is in fact not one unbroken wall, but a sprawling series of walls built by various states and dynasties over many centuries. 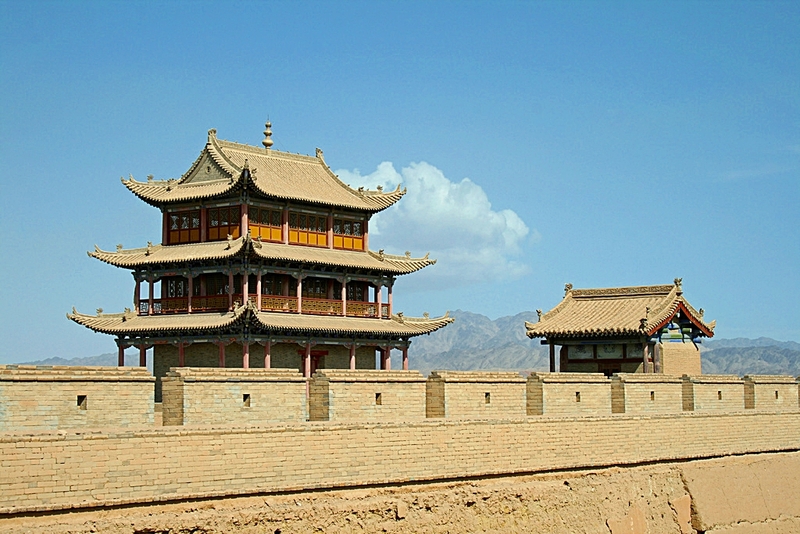 Tremendous efforts were made during the Qin Dynasty (221-207 BCE) and the Ming Dynasty (1368-1644 CE) to link these walls together. 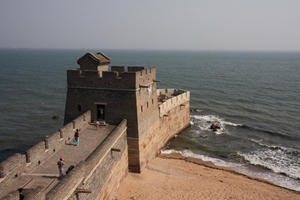 Its name in Chinese, 万里长城 (Wànlǐ Chángchéng), more literally means “long wall of ten thousand li” (a li is a traditional Chinese unit of distance equivalent to half a kilometer), which is actually a drastic understatement of the length of the wall. 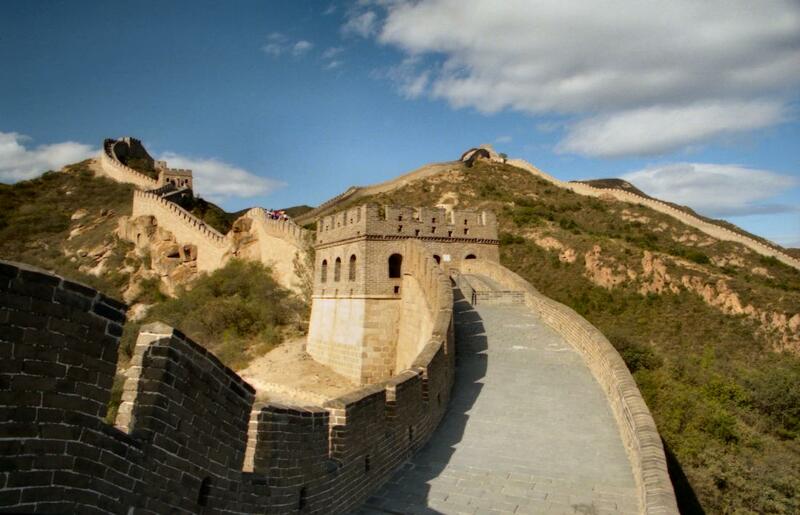 One survey calculated the combined length of all the sections of the wall to be over 13,000 miles. The primary purpose of the wall was to protect the Chinese empire from attacks by “barbarians” to the north (though it was not always successful in doing so), but it also facilitated travel and transportation, communication, trade, and taxation. 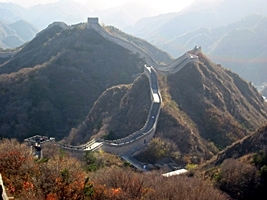 One of humankind’s most impressive achievements, it was made possible only by engineering expertise, an advanced administrative system, sustained political will, vast resources, and the labor (and suffering) of countless individuals—not to mention the imagination and audacity necessary to envision such an undertaking in the first place. 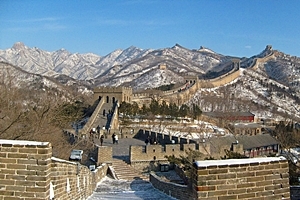 Some of the more popular sections of the wall in the Beijing area are Badaling (八达岭, Bādálǐng), Juyongguan or Juyong Pass (居庸关, Jūyōngguān), and Mutianyu or Mutian Valley (慕田峪, Mùtiányù). 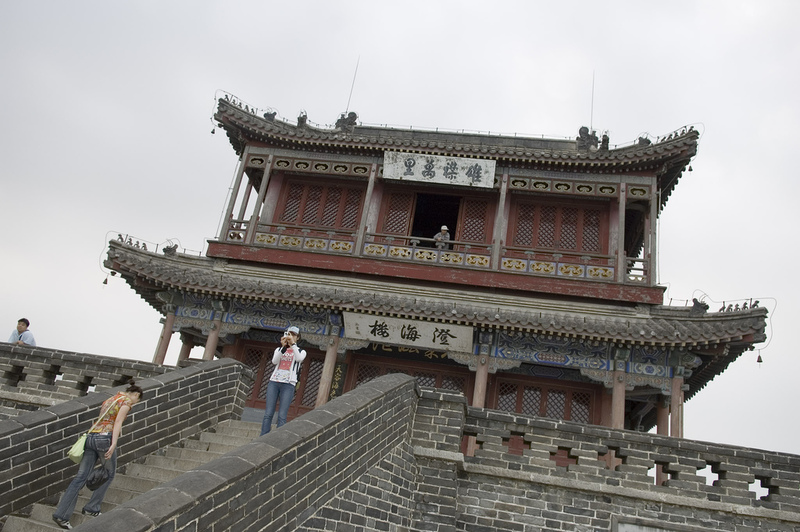 Our tour packages that feature Beijing usually include a visit to either Badaling or Juyongguan. 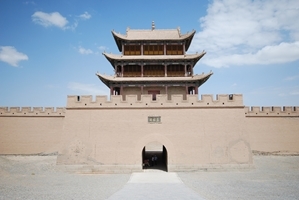 They do not include Mutianyu and some other Beijing-area sections of the wall because they are too far away from the city to fit into an itinerary with other popular attractions. 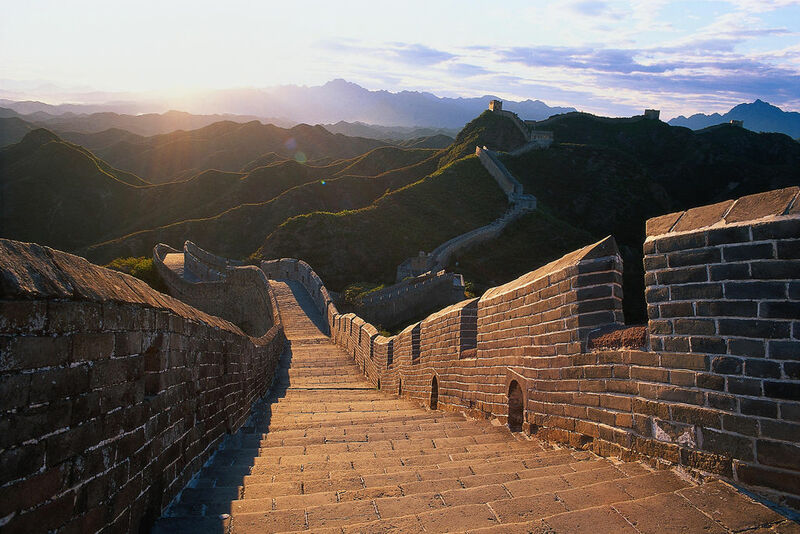 However, if you wish to visit one of these other, less crowded sections of the wall, we will gladly make custom arrangements for you. 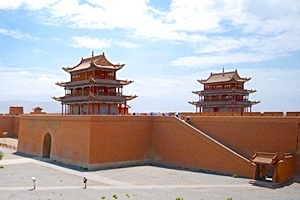 Other notable sections of the wall include Shanhaiguan (山海关, Shānhǎiguān), the easternmost section where the wall meets the ocean, and Jiayuguan (嘉峪关, Jiāyùguān), the westernmost extant section of the wall in Gansu Province. 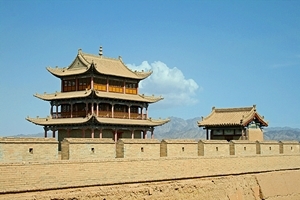 Silk Road-oriented tour packages, such as our Silk Road 16-Day Tour (CIT007), often include a trip to Jiayuguan. The oft-repeated claim that it can be seen from the moon with the naked eye is not true. 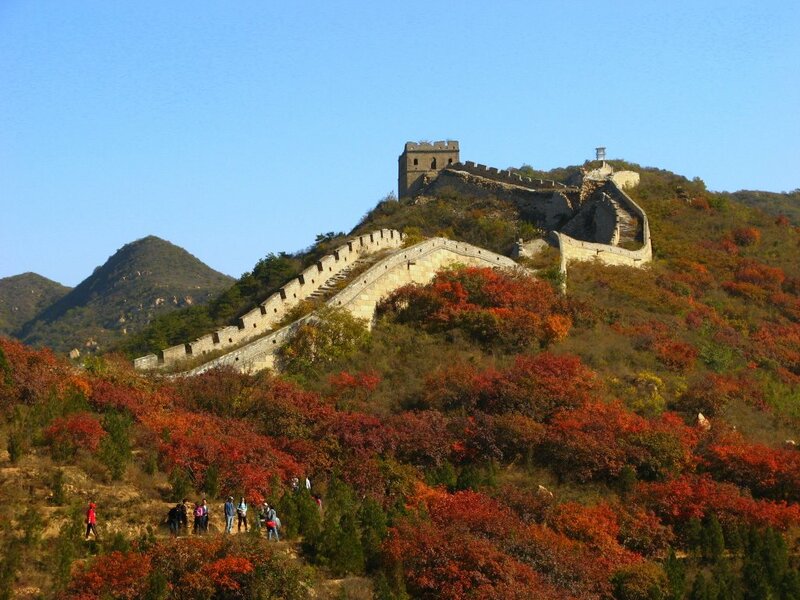 The first sections of the wall were built during the Spring and Autumn Period (776-403 BCE). 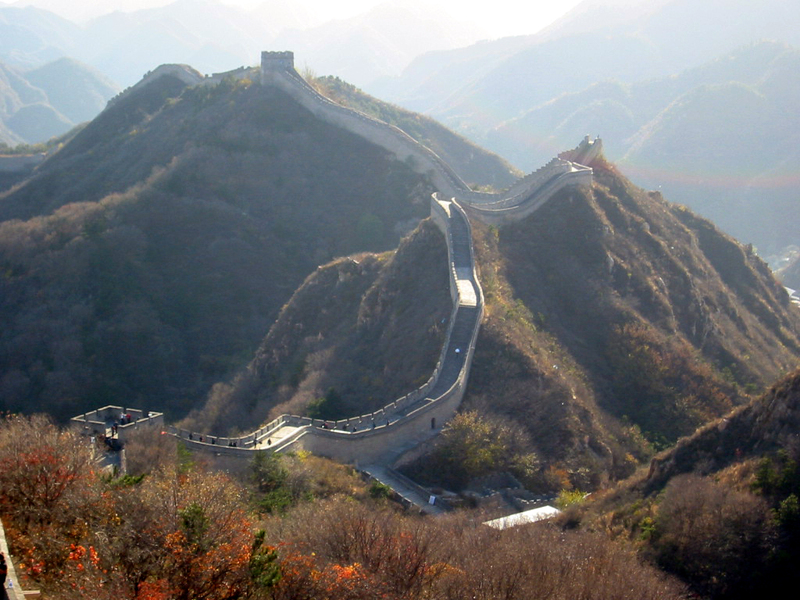 As early as the Qin Dynasty (221-207 BCE), construction involved hundreds of thousands of laborers. 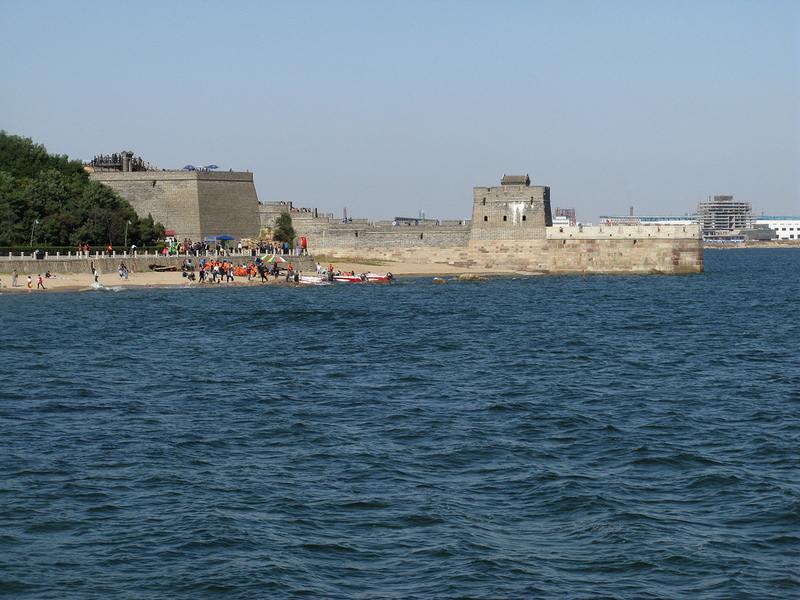 The Ming Dynasty construction project continued for more than 100 years, but the wall failed to prevent the Manchus from conquering China and establishing the Qing Dynasty. Be sure to wear good walking shoes, or even hiking boots for more adventurous walks along the wall. 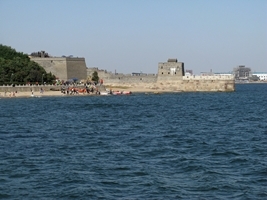 The more touristy sections of the wall have the advantage of cable cars. Cable car rides up the wall are included in most of our tour packages, and they allow you to avoid a strenuous climb in what can be very hot conditions. 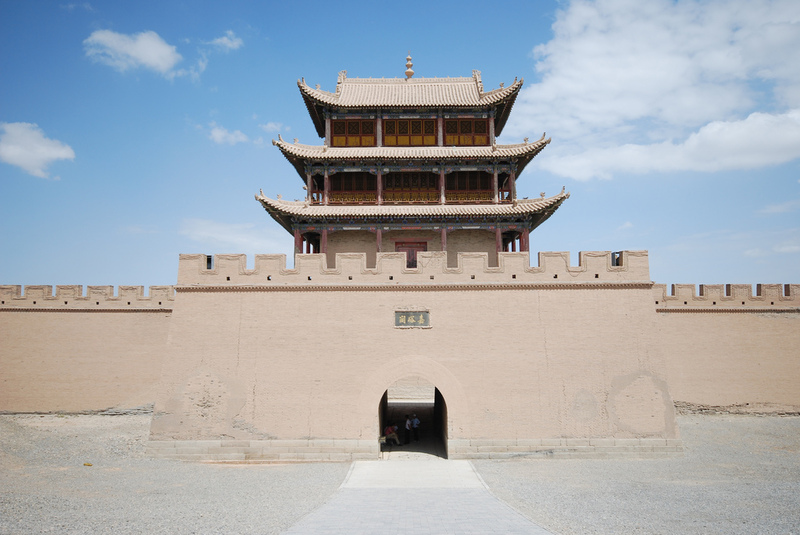 Good planning is essential, as Beijing-area Great Wall trips entail a substantial drive outside the city, and you will want to make sure you have adequate time to fully enjoy your visit. Read more general information about the Great Wall on Wikipedia. 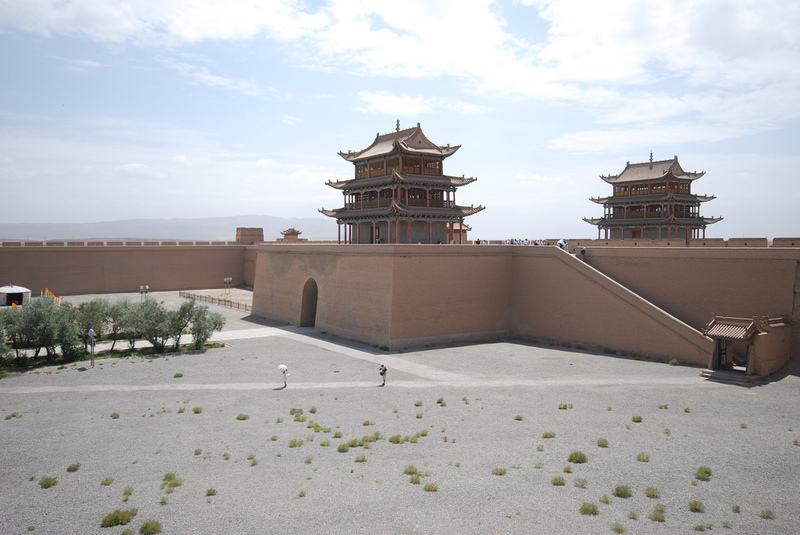 Peter Hessler’s fascinating book, Country Driving: A Chinese Road Trip, recounts (among other experiences) his visits to many sections of the wall, including remote, unrestored, and almost forgotten sections seldom visited by anyone. He also wrote an article called Walking the Wall for the New Yorker (subscribers only). 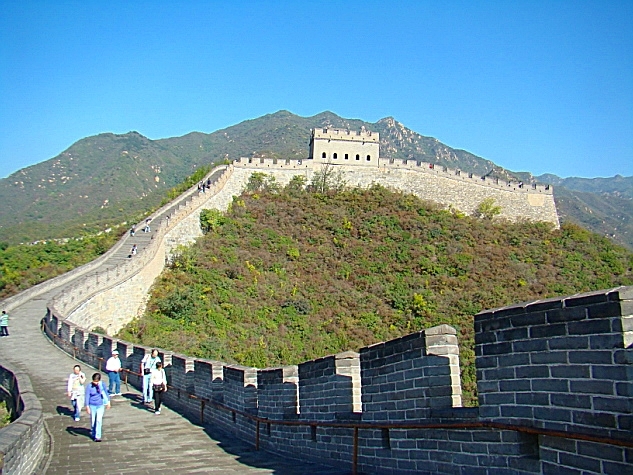 The Great Wall is listed as a World Heritage Site by UNESCO, the United Nations Educational, Scientific, and Cultural Organization. 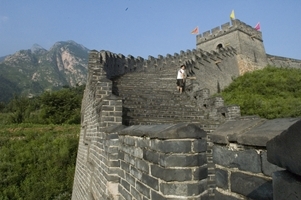 Its UNESCO page has information and resources related to the history and preservation of the wall.